Our first kittens of 2018 in branch! What shall we name them? That's where you can help us ... for a minimum donation of £1 per suggestion you can enter our competition to name a kitten. You may enter as many times as you wish, please just ensure that you are clear which name you are putting forward for each kitten and that your donation has been made at the same time. "On a freezing cold and very wet Saturday night in February, Asha came into our care as an emergency. She was obviously quite far along in her pregnancy and after being vet checked we knew that Asha was due to give birth soon. Asha became increasingly bigger day by day and eventually on 26th Feb 2018 she went into a very difficult labour and the kittens did not deliver easily. The first being born at 3pm and the last at 9pm that evening. Finally, all was well and now Asha has six beautiful kittens. 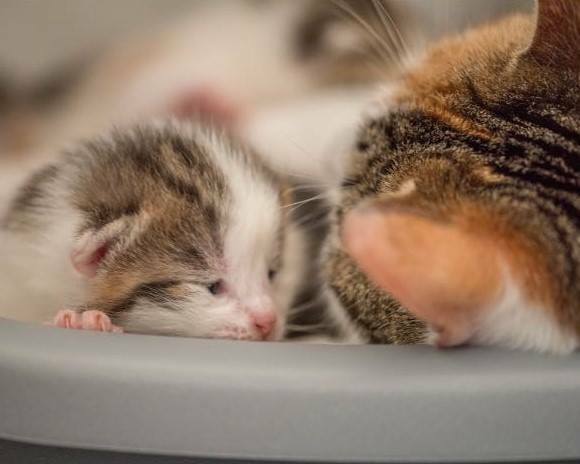 Becoming a mum hasn't been easy for Asha, however, she has soon learnt that six kittens will squeal very loudly if she doesn’t lay down and feed them often enough!" Any donations received over our £500 target will be used, by the branch, to help other cats and kittens in Lichfield & Tamworth. 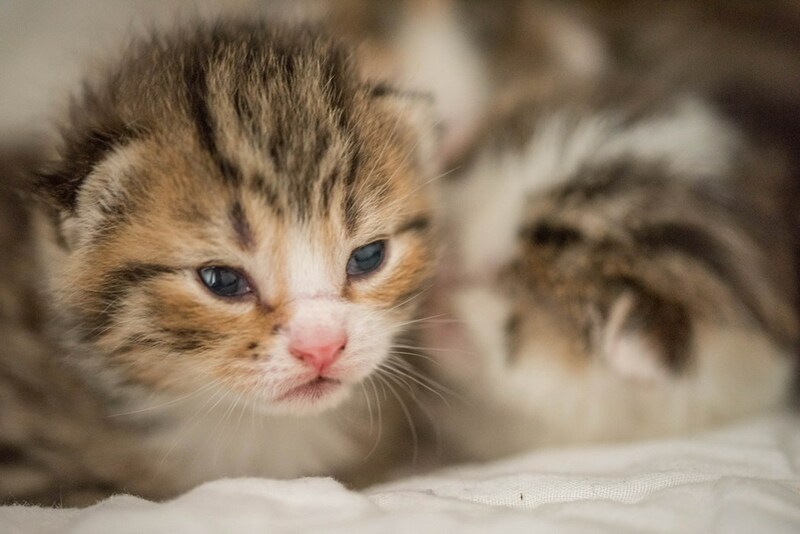 The winning entry for each kitten will not only have the pleasure of naming a gorgeous kitten and know they have helped them in their early days, but will also receive a personalised photograph of that kitten. Asha's first kitten, born at 3pm, when the snow first started in Lichfield. What do you think the winning name is? Hi, this is Miss Cutie, yes a girl! She's very cute and also very sleepy as you can see. She tends to be at the top of the sleeping pile, poking her little head up. 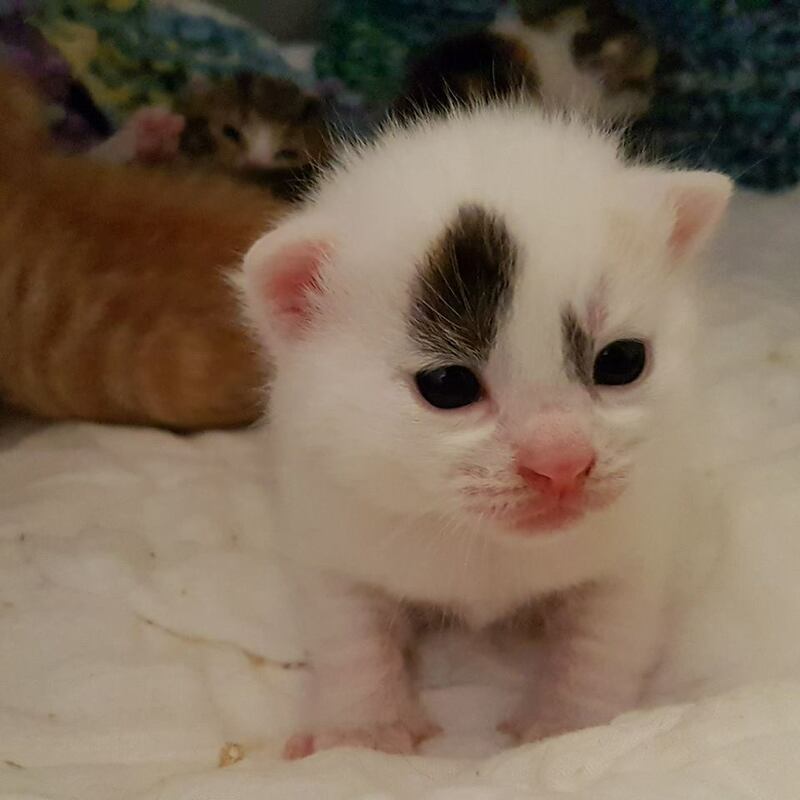 When she was born the white on top of her head looked like a zigzag, her coat was very dark but now you can see more colours like her mum Asha. Looks just like her mummy Asha. She is a little tinker full of character and meows very loudly. 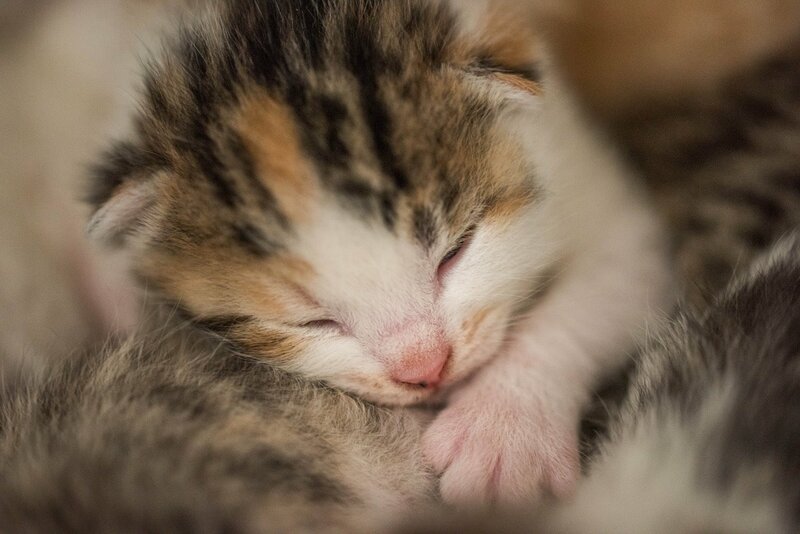 She is constantly hugging her siblings and wakes up as soon as mum moves. 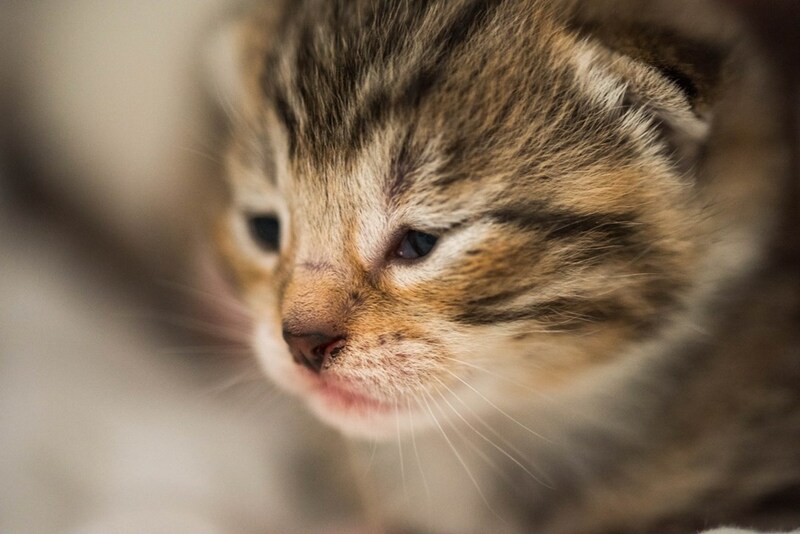 Hello I was the fourth kitten to be born, I was born the quickest just 20 minutes after my sister! My poor mum had only just began cleaning my sister and there I was! I am Tabby with lots of stripes, I have a lovely gold color around my eyes and nose. What do you think my name should be? Its a boy!! 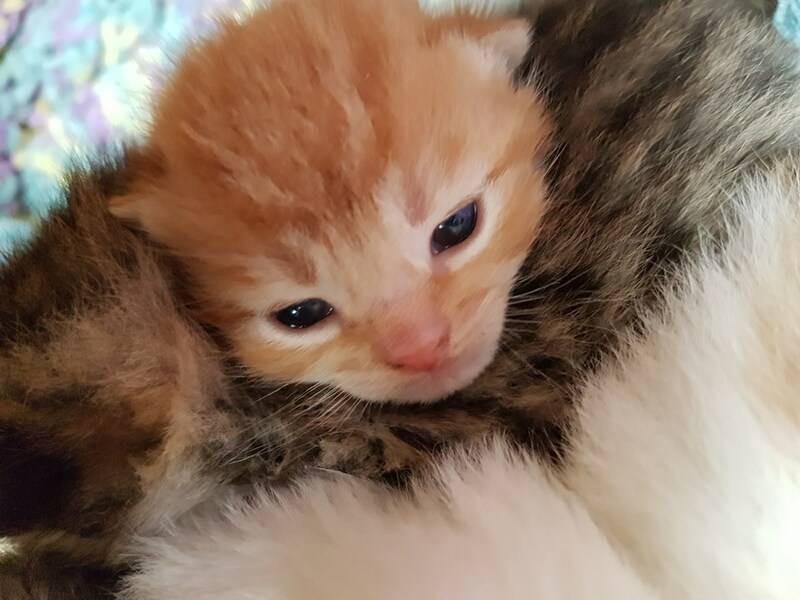 A ginger boy who was born 2 hours and 10 minutes after his sisters. He started life a bit too relaxed but he has soon caught up for it. He loves to play especially a bit of rough and tumble. What should we call the only boy? It's a girl!😸 born two hours after her brother!!! She started life as a diva and has continued to be in the mix of things. She loves to play and have cuddles. What should we call the last girl?